After 12 hours of research and testing we are excited we get to say that Jjonga Vision’s Gochujang is the best gochujang brand available today! With a well rounded, balanced gochujang that hits all the right marks, Jjonga Vision is putting out what has to be the best gochujang that your grandma didn’t make. Come check it out for yourself! Man, Jongga Vision’s really tearing it up with us lately. Makes sense that if they can make a great kimchi they can make a great gochujang as well. The sweetness here is subtle, but noticeable, the spice is definitely there but won’t knock your socks off, and the richness is… standard. Doesn’t sound like a ringing endorsement I’m sure, but trust us, in the world of gochujang just getting all the notes right is a feat in and of itself. If you’re looking for a steadfast, definition proof, example of gochujang done right, Jjonga Vision is the brand for you. CJ has been a favorite of ours for some time now, and Haechandle (a brand within the CJ group) is putting out a gochujang that is doing their parent company proud. They, like Jongga Vision, hit all the notes they need to, what differentiates them is their sweetness. Whereas Jongga’s was almost one dimensional (familiar), Haechandle’s is reminiscent of a touch of honey. There’s nothing wrong with that, it definitely works, but it does detract from what you would normally expect. It definitely adds some complexity, but some people might find it a little off. 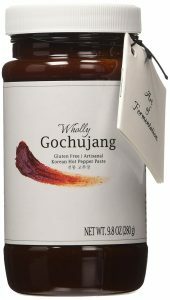 If you are a gochujang veteran and are looking for something a little alternative, give Haechandle’s a try. 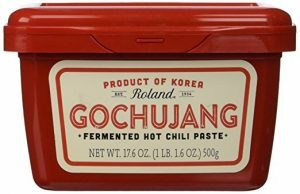 So when you first try this gochujang you’re probably going to think we’re pulling this stuff out of our asses. But give it a second to kick in. Our initial reactions were “bland”, “not a lot of depth”, “not much there”. However, this one definitely grows on you, the flavors start out very subtle, but they build slowly into a subtly sweet, spicy, earthy gochujang that deserves a spot in your refrigerator. No surprise here… but this one is really hot. We actually had to take a break after this one because our tongues were too sensitive to try another gochujang objectively. This is the first one to break what I’m coining as “the sweat barrier”. It’s not just spice, thankfully, there is a tangy, mild sweetness as well; however, out of all of the gochujangs this one is definitely the spiciest. It’s not a bad gochujang at all, but they are definitely leaning heavily on the spice factor, making this a really good, one-dimensional gochujang at best. If you’re main priority is spice and gochujang is your sole ingredient you’re depending on then this will do just fine. I was really curious to see if the brown rice made a noticeable difference. My mother’s first reaction of “no problem” kind of sums it up. 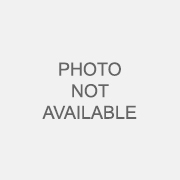 Everything here is… fine… no big issues, but nothing great either. This is a basic, mild, run of the mill, standard gochujang. If this is all you have available I would definitely still grab a pack, just know that the brown rice isn’t adding anything special (so don’t pay more for it). I was surprised, I thought if anything the gochujang with brown rice would have the deepest flavor. Wang Korea brought out all the marketing big guns with this (as they tend to do). When your name translates to “King” you better bring it. Taeyangcho means “sun dried” and “chaal” is supposed to be this premium rice, so King Korea is coming at you with a sun dried, premium rice, gochujang here. It’s decent, but the major flavor profile this brings to mind are these natural fruit leather rolls my mother used to get us as kids instead of fruit rollups. Not entirely unpleasant, but it won’t mesh well with whatever it is you’re making (better to use a standard gochujang and add a pinch of sugar as needed). This dark, grainy gochujang looks intimidating… but it’s just whatevs. Like pretty much all of the other second tier gochujangs in this list, it’s fine… but that’s basically it. I wouldn’t judge you if this finds its way to your shelf (and if you’re kosher you’ll be just fine) but there are better gochujangs available that bring much more to the table. Still within the second tier, this isn’t a bad gochujang, but this is the first where we see a hint of chalkiness. 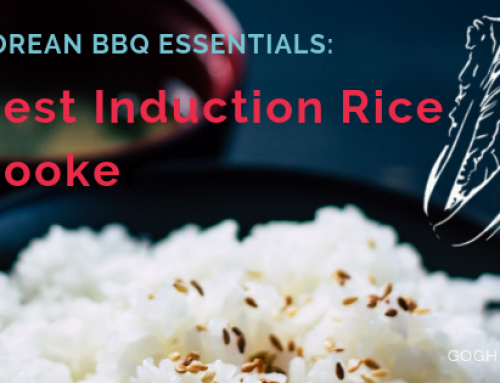 Fermented rice is a signature component in gochujang (often in the form of rice flour or powder), if it isn’t fermented or incorporated enough it can leave a raw flour taste you see in undercooked baked goods or roux. Not a huge problem here, it doesn’t ruin it for me (there are much worse offenders), but it is noticeable. Now we’re getting into the third tier, or “would not buy” section. I’m not sure why but Roland’s has a distinct raw flour taste that makes this gochujang seem very chalky. The gochugaru does not seem blended in completely or fully developed. They may want to consider removing the “fermented” off of their packages at this point. Anyone that’s made an undercooked bechamel or nacho sauce can tell you that it doesn’t matter how good everything else is, if the flour is undercooked your sauce won’t keep you coming back for more. Ahlem Chan’s gochujang has very distinct traces of doenjang flavor, which I don’t dislike, but not what I’m buying gochujang for. That alone wouldn’t sink Ahlem Chang completely, there is a little sweetness which is alright, but the chalkiness and lack of a developed flavor had my mother labeling this one as “poor”. Can’t disagree with momma. Never heard of SinSong before, and I have no clue what the “Up & Down” is referring to, but seems like they should spend a little more time on their gochujang. There is a distinct raw pepper taste calling out the lack of time in their fermentation process. That, along with a slight burnt, almost dark and heavy flavor leaves me looking elsewhere. More like wholly where’s the flavor. My mom said this one was the easiest to judge because… there’s nothing TO judge. This was definitely the least firm, and almost runs off the plate, making it no surprise that this one barely has any taste. There’s nothing bad here, but there isn’t really anything else either. This almost tastes like Chung Jung One’s Brown Rice Gochujang but mixed with a bunch of water. To be honest, I was most looking forward to Crazy Korean Cooking’s product offering here, but for whatever reason they just didn’t bring it. Maybe they should stick to their containers. Last on our list and last in our hearts. Like other sub par gochujangs, Haitai’s is chalky and floury, but there is also a distinct old, dried apricot flavor. When my mother straight up calls it out with “I don’t know what it is but it’s bad” you know you won’t be in for a good time. If Kimchi is the Holy Mother then gochujang is the… dharma, the sacred essence from which all things come (have to use my Religious Studies major whenever I get the chance). Gochujang is the quintessential Korean ingredient; spicy, fermented, sweet, rich, earthy, relegating this elemental substance to a mere condiment would be sacrilege. 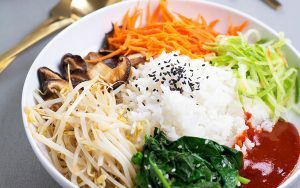 The base for practically every sauce, stew, or soup, mixed into your bibimbap, tossed with your fried chicken, gochujang is to Korean cooking as butter is to French. Part of the Holy Trinity of Korean cooking (The Almighty Jangs as I like to call them): gochujang, doenjang (fermented soy beans), and ganjang (soy sauce), you can’t get more essential and elemental than that. Chungjang is important as well, but since it’s mainly used in jjajangmyeon and other derivations it’s not on the same level as the Three. 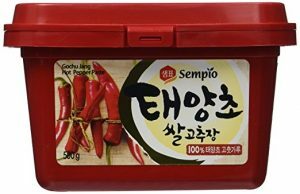 All this to say that gochujang is essential to Korean cooking, and to Korean people. My parents have jars of gochujang in their fridge that family members lugged over from Korea, homemade jangs made by grandmas that just had to share their batch with their church, even a couple new age gochujangs made from young hipsters in Brooklyn that my sister bought. Regardless of where it’s from, gochujang is serious stuff. Like olive oil in Italy, masa in Mexico, fish sauce in Thailand the quality of your dish hinges on the quality of a few essential, primal ingredients. Gochujang is no different, if you’re OK with a sub par gochujang don’t complain when your jiggaes, fried rices, soups, sauces, what have you end up being sub par as well. Also, sriracha’s explosion in popularity this past decade or two has left me wondering why gochujang is still a relatively unloved and unknown monster. Now, I love sriracha, not knocking them at all, but it’s more of a condiment than anything. Gochujang is eminently more versatile and complex, I recently started mixing some in whenever I go Italian and it’s taken my pasta sauces to another level. Like an anchovy and tomato paste bomb of flavor… but I digress. All that matters is that if you want to talk about Korean cooking you need to include gochujang in that conversation. Sunchang – refers to Sunchang County which is renowned for its gochujang. It basically implies that the pack you’re holding is very high quality. Taeyangcho – this just means the chiles are sun-dried. I’m not sure exactly what difference or impact this has but we’ll be sure to keep an eye out to see if there is a trend with all of the ones that are. 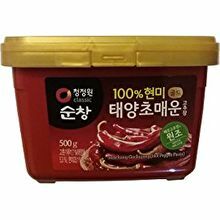 Chal – Sweet rice, most gochujang’s have some sort of fermented rice component, I myself am not aware of which types of rice or derivatives of rice produce the best gochujangs, but here they’re implying that theirs is of a high quality. From my experience… these are all basically just marketing terms. The only words you need to pay attention to (in my opinion) are the ones that have to do with heat level. If it says something to the effect of ‘burning’, ‘nuclear’, ‘super spicy crazy hot’… just know that they’re trying to warn you ahead of time. BUT WHAT ABOUT THE GOCHUJANG???? Great question, marketing terms aside there are only a few main components we’re going to be looking at. 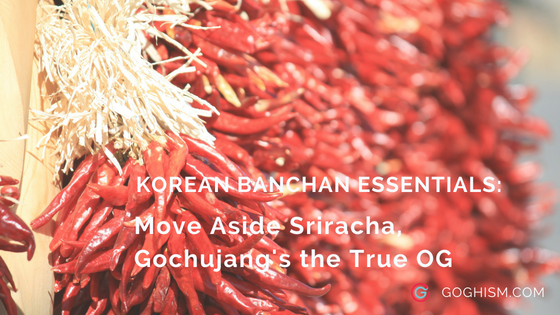 Spiciness: Gochujang is many things, but it’s most synonymous with heat. However, ironically, spiciness here is not super critical when evaluating the quality of a gochujang. I mean it definitely needs to have a kick, but with an ingredient such as gochujang if it’s not spicy enough… add more. Or if it’s too spicy… deal with it (next time just add a little more gradually). 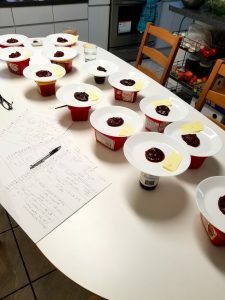 So we’ll definitely compare and record the spiciness of each gochujang to see the overall variation, but it won’t play an enormous role in the overall evaluation. (But if there’s no heat at all then we’ll definitely let you know too, because that’s just an imposter right there). Sweetness: This may surprise some, but this is a huge component of gochujang. Chiles have their own natural, fruity sweetness, and rice, when fermenting, does as well. If you’re just looking for spice you don’t really need gochujang, you can add a couple (I said a COUPLE) drops of capsaicin. But with any gochujang as a base you’re going to want some sweetness to round out the spice (and actually bring out the flavors behind the heat). Richness/Umami: Gochujang’s claim to greatness is the deep, earthiness that it adds to the dish (it’s so much more than spicy). This isn’t a two note addition either (looking at you Tabasco). You should be able to tell that your gochujang came from the earth, developed and molded over months of labour, and has the complexity of a Russian novelist. Overall Flavor: obviously much of the above could fall under this umbrella but we want to use flavor here as a catchall for the complexity, richness, full bodied nature of the product aside from the standard spicy and sweet dichotomy. Just because your gochujang is the spiciest or sweetest doesn’t make it the ‘best’. Past the individual components, does this actually taste good? So with those four components in mind we dive into the world of gochujang, let’s see what it has to offer. 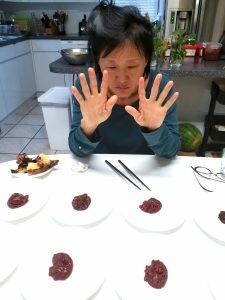 Raw taste test – this is mainly for comparative purposes to help get a more isolated understanding of each gochujang. But since this is not the normal way one consumes gochujang we’re going with a couple additional iterations. Bibimbap – I’m going to make one big batch of mixed bibimbap which we will then draw from and mix each gochujang individually in order to get a more practical application of raw gochujang. 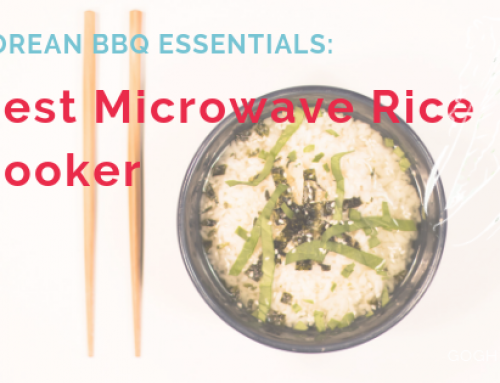 The bibimbap will be super basic, white rice, carrots, cucumber, sauteed spinach and mushrooms, some fried egg, a dash of sesame oil…. that’s basically it. We don’t want to go too crazy here since it’s not lunch time… it’s gochujang time… >_<. Ssamjang – I’m going with a super basic recipe of gochujang, sesame oil, and minced garlic, because I want the gochujang to shine here as unadulterated as possible. I’ll be frying up some ribeye (for me) and mushrooms (for my mom) that we will then use to dip into each ssamjang. I will be performing the tests with my mother (she helped me out with the kimchi post). We’ll be using a homemade gochujang as a control group to calibrate our levels of each component (e.g. what is a ‘5’ for spiciness). With all that… let’s dive in and see which gochujang brand wins out. 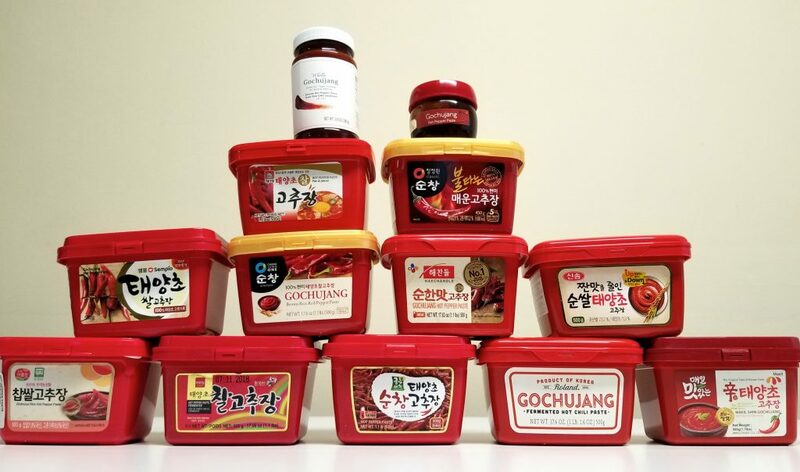 We have no affiliation with any of these gochujang brands (although we are secretly rooting for the American based ones), with all that let’s dive in and see which gochujang brand comes out on top. There are a plethora of gochujang based sauces out there on the market now, but we are focusing on gochujang as a base ingredient. Therefore, anything marked or labeled as a ‘sauce’ will be left for another post. We will only be considering products that are specified as being straight up gochujang. We will not be differentiating by spice level as (stated above) heat will not play a major role in our evaluation of quality…. because you can always add more. We’ll also not be leaving any gochujang brands out based on style (sweet rice, brown rice, sun dried chiles, premium, etc), all gochujangs will be on the same level (also disregarding price). From there I went through all the Korean grocery stores (getting several confused looks when I got to the cashier) as well as got what was available on Amazon. Now all that’s left is to test the freaking things, so I guess… IT HAS BEGUN. We’ve hit every major gochujang brand we could find. Definitely let us know if you have a favorite or another brand that we missed out on! 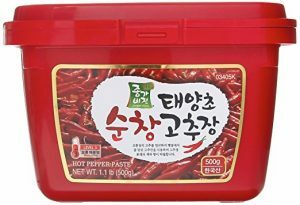 Hopefully, we haven’t missed any, I’m getting kind of tired of talking about gochujang at this point (and I’m definitely tired of tasting it on its own) o.O. Now time to get ready for a gochujang sauce test…. ah damn it.